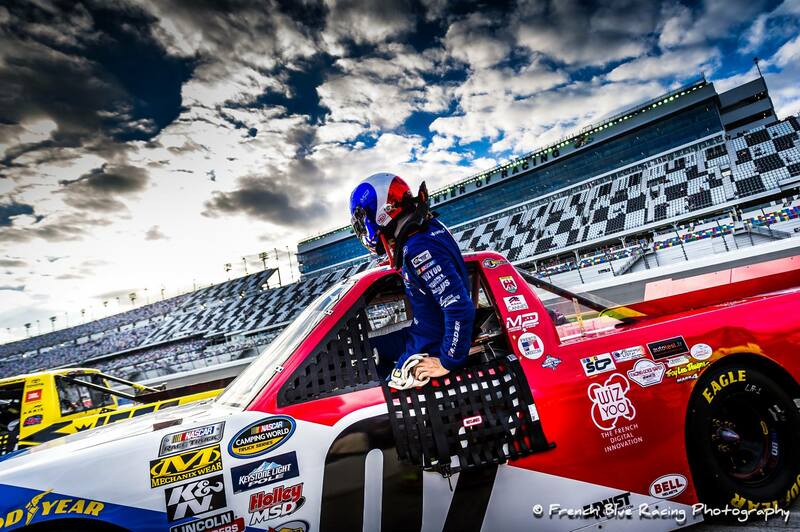 After a two year absence from NASCAR’S Camping World Truck Series racing, Michel Disdier resumed his impressive driving style by exhibiting patience, calm and steadiness despite an engine problem that occurred early in the event. Down on power he was able to stay in touch with the pack thanks to several caution periods. 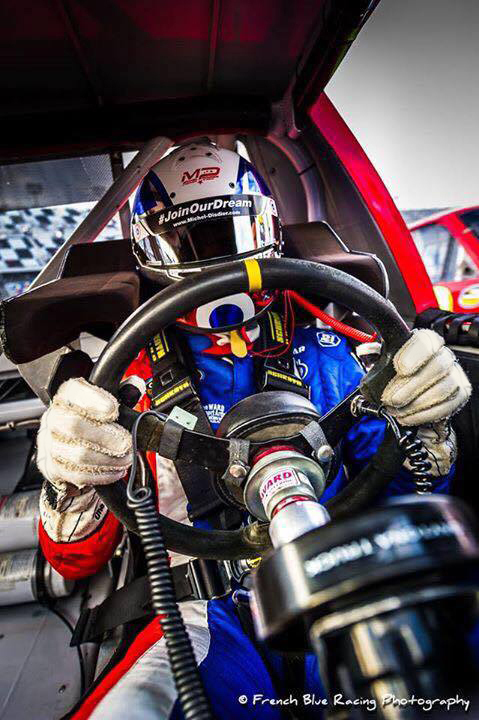 The experienced driver from Nice, France has had his sights on racing in NASCAR since childhood but the path for Europeans entering this all American sport is a difficult one. 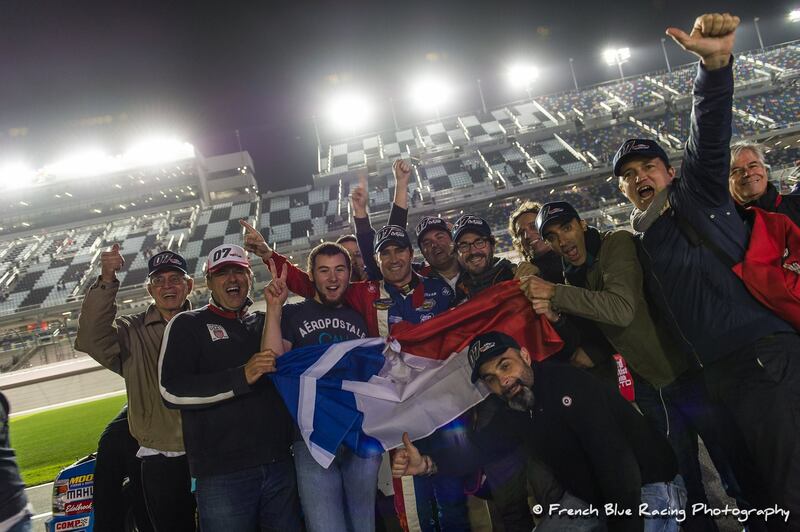 Didier’s commitment to racing in this country however has been undaunted and his appearance this year at Daytona has brought smiles from his American fans and accolades from his team. The Bobby Dotter Green Light Racing Silverado truck handled well and was strong in practice resulting in impressive lap times, however the race was made quite difficult when the engine lost its edge. The 11th place finish was a far better result than anyone on the team expected knowing the situation with the engine so the excitement from the team after the race was justified and a fine reward for the driver. Near the end of the race there was a caution period as a result of a major crash. At that point I was in 10th position so I new I would have a good finish. Most of the race was frustrating because of the engine problem so to have feeling of a good finish made feel happy and excited”.